I can’t stop thinking about the performance my friends and I attended a few nights ago. 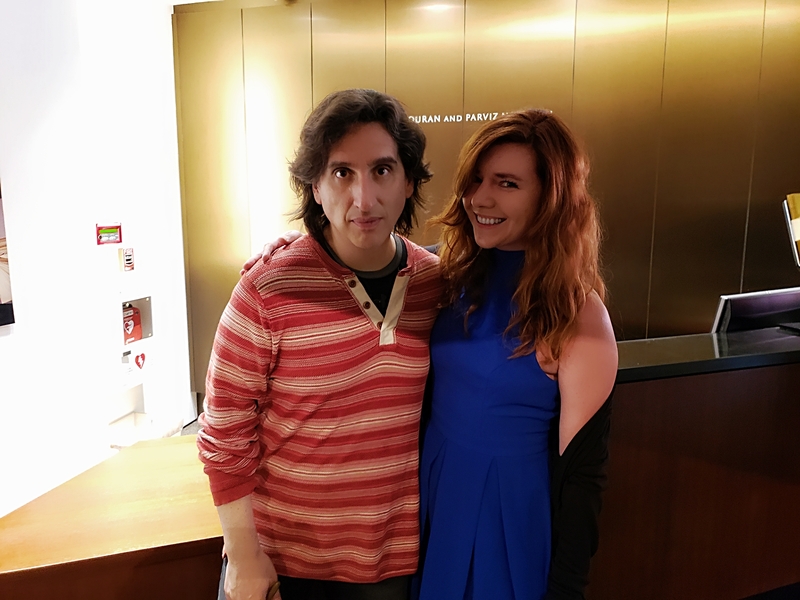 It was Hershey Felder as Ludwig van Beethoven, at The Wallis Annenberg Center for the Performing Arts in Beverly Hills. While I love attending plays I’m usually not overly excited about one-man shows. However, Hershey Felder is a big exception. I discovered Felder’s work last year when I saw him as Tchaikovsky (my favorite composer). When I heard he was doing a similar play, as Beethoven, I knew I’d be there in a heartbeat. Felder’s show is as moving and beautiful as it is educational and entertaining (and at times funny.) And just like Beethoven’s biography, the show is quite heartbreaking – more than once I had tears in my eyes. This hour and a half performance with no intermission just flies by. With 500 attendees at Wallis’s Bram Goldsmith Theater you follow Felder’s every word and every note, and you can hear a pin drop. It’s brilliant and special. The surprise of the evening was Felder doing a Q&A with the audience, which was quick-witted and informative (Felder will come back as Debussy next year). 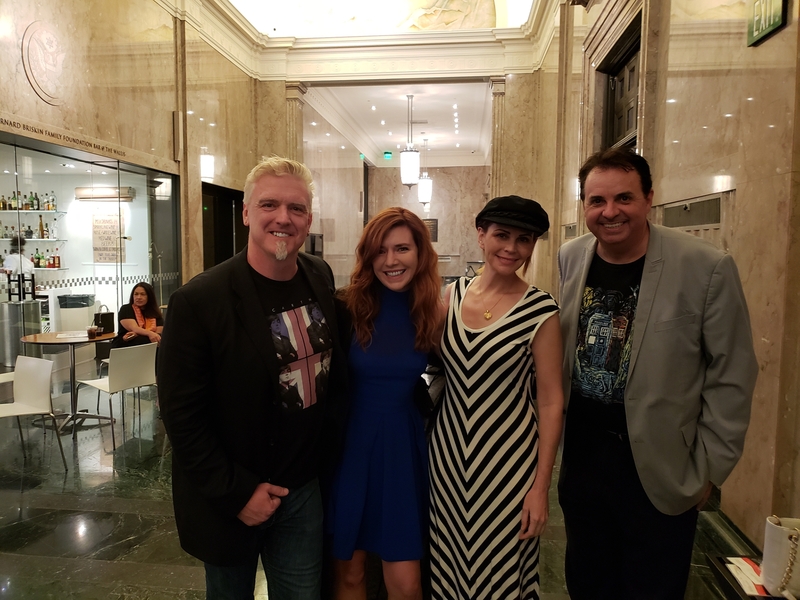 The cherry on top was briefly meeting Felder after the show (see our photo), when he was doing signing of his “Hershey Felder as Irving Berlin” records. I HIGHLY RECOMMEND this very special show, it’s not like anything else out there. 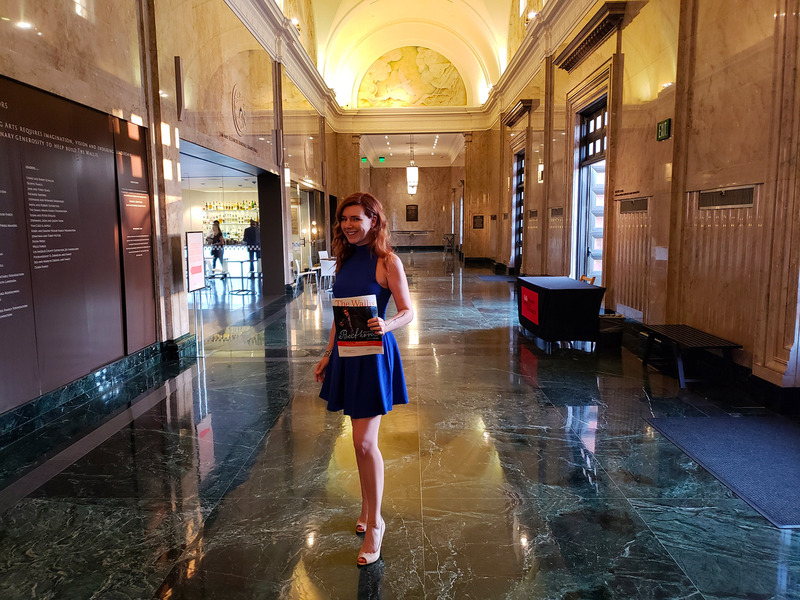 The venue itself is quite gorgeous and historic: the Wallis is situated in the old Beverly Hills Post Office (built in 1933 and fully restored) and is on the National Register of Historic Places. 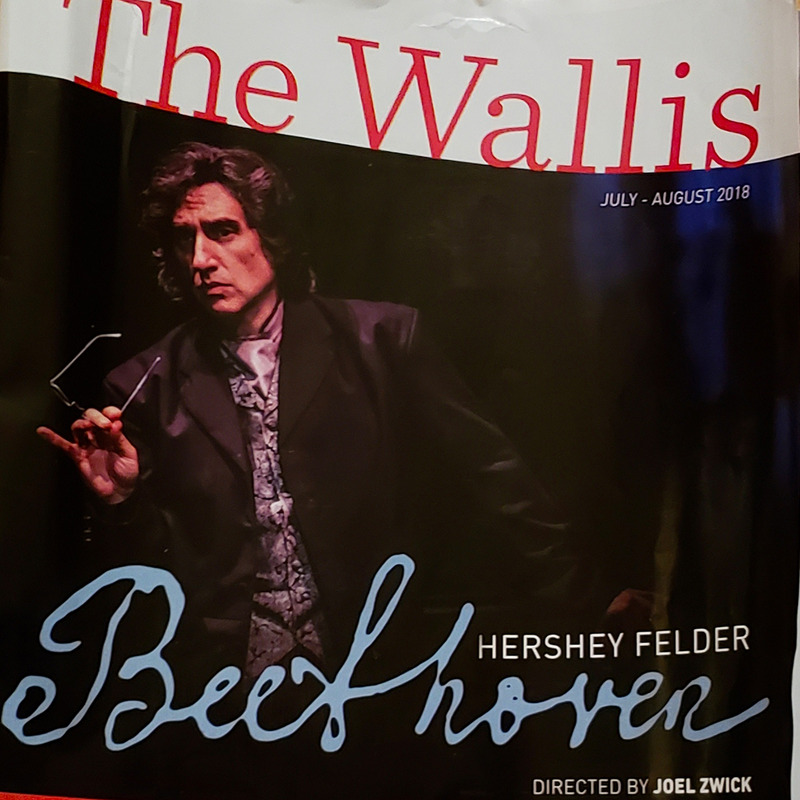 See my photos below (and for the performance shots see http://thewallis.org/beethoven), and I hope you can catch this play during its August 2018 run. Look for tickets at http://www.thewallis.org or on Goldstar. Any Beethoven fans among my friends here? I grew up listening to his music as my grandfather had every Beethoven recording he could get. 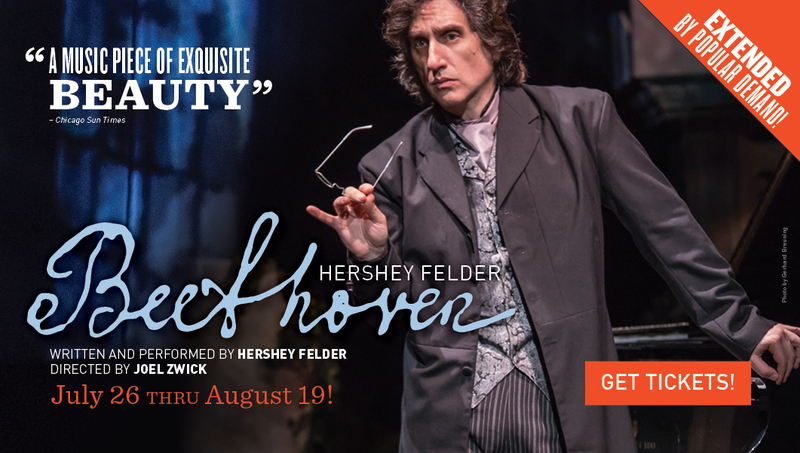 I heard of Hershey Felder thanks to you’re Facebook post and went to the Tchaikovsky play. Was it last year or the year before? I studied classical music too. Now I need to go see the Beethoven play. It sounds amazing. So glad to hear this, Ella!!!!! I remember you told me you went to the Tchaikovsky play. Let me know what you think of this one!!! I didn’t get a chance to go before the show ended, just got too busy. I feel so bad! Bummer! But I hear he’s coming to Geffen in 2019, maybe you can go then! I love classical music but I’ve never attended such a play. It looks really great. You will LOVE this, Dave! I hope you get a chance to attend.